Book of the Week Book of the Week: A Pick by Laura M. André Laura M. André selects Monsanto: A Photographic Investigation, by Mathieu Asselin as Book of the Week. Monsanto: A Photographic Investigation. By Mathieu Asselin. 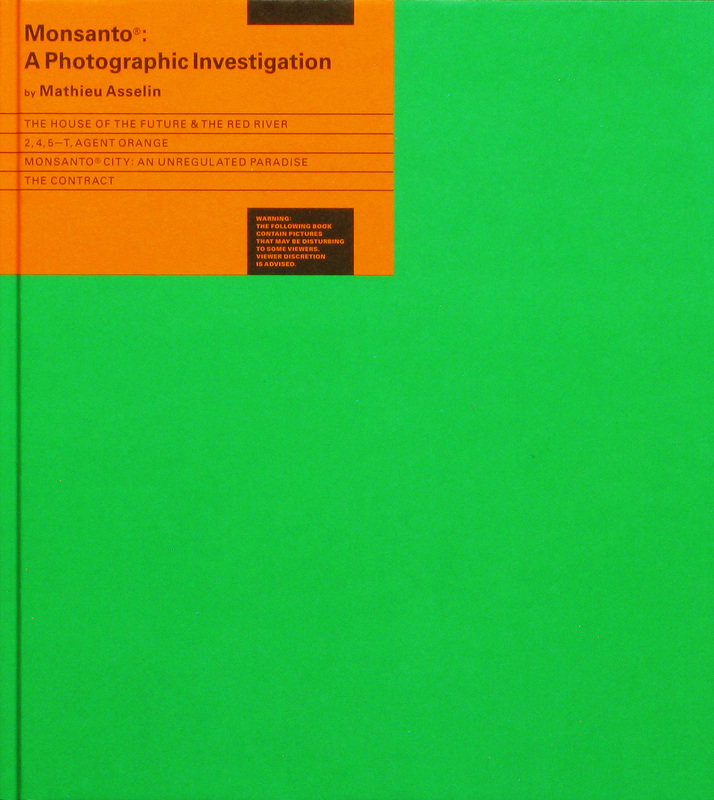 Laura M. André selects Monsanto: A Photographic Investigation, by Mathieu Asselin, from Verlag Kettler as Book of the Week. My doctoral dissertation on space-age visual culture included a chapter on architecture. One of the research highlights of that chapter was learning about the Monsanto House of the Future, which stood in Disneyland's Tomorrowland from 1957 to 1967. Monsanto sponsored Disney's design for a prototype residence, replete with Monsanto technology, to show Tomorrowland visitors what domestic space might look like in the future. The interior fascinated me especially, with its clean, efficient, mid-20th-century futuristic design, which seemed to anticipate the fantastic architectural interiors of 2001: A Space Odyssey and The Jetsons. But Monsanto's seductive, space-age House of the Future, together with its convenient agricultural products, masked the company's toxic and deadly greed. And it is with this House of the Future that Mathieu Asselin begins his inquiry into Monsanto's relentless conflation of progress with chemistry. Monsanto: A Photographic Investigation, which includes an introduction by Asselin and a foreword by organic farmer Jim Gerritsen, is a searing, visually compelling indictment of Monsanto's insidious, destructive, and deceptive products and actions — all in the name of progressive innovation — that have earned the company its reputation as the world's most reviled corporation. 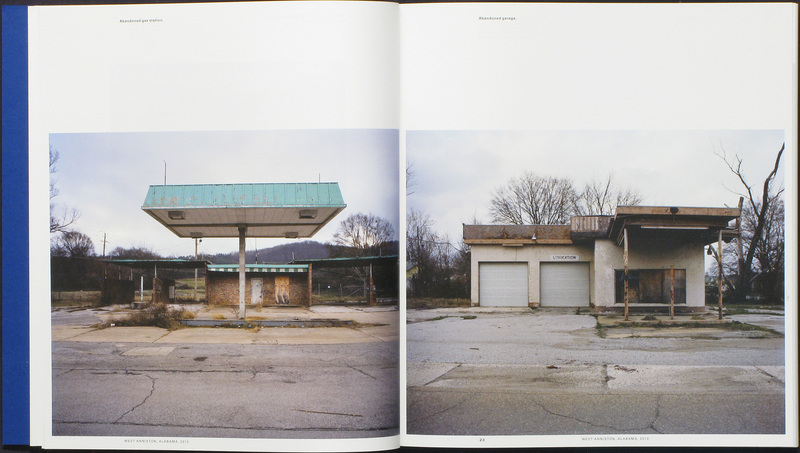 The book is a mix of archival material, including a bound booklet at the book's beginning, which presents a compilation of Monsanto magazine advertisements from 1949 to 1980, and contemporary photographs and texts that expose what Monsanto's future wrought. Asselin divides the book into three parts. The first section juxtaposes the House of the Future and Monsanto's PCB production facility in Anniston, Alabama, which all but destroyed the formerly idyllic town and its environment due to the unchecked dumping of toxic waste into creeks and landfills. The revolving door between Monsanto and federal agencies created a situation where executives and lobbyists and politicians colluded to cover up the dangerous effects of Monsanto's products and by-products. Part two addresses Agent Orange, the infamous defoliant that the US military deployed widely during the Vietnam War to clear the Southeast Asian jungle, despite Monsanto's full knowledge of its carcinogenic and developmental toxicity. Part three investigates Monsanto City in Illinois, which is now one of the most polluted places in the United States due to high concentrations of PCBs and dioxins. Monsanto: A Photographic Investigation is shortlisted for the 2017 Paris Photo-Aperture Foundation First PhotoBook Award. Monsanto: A Photographic Investigation. By Mathieu Asselin. Verlag Kettler, 2017. Laura M. André received her PhD in art history from the University of North Carolina at Chapel Hill and taught photo history at the University of New Mexico before leaving academia to work with photography books. 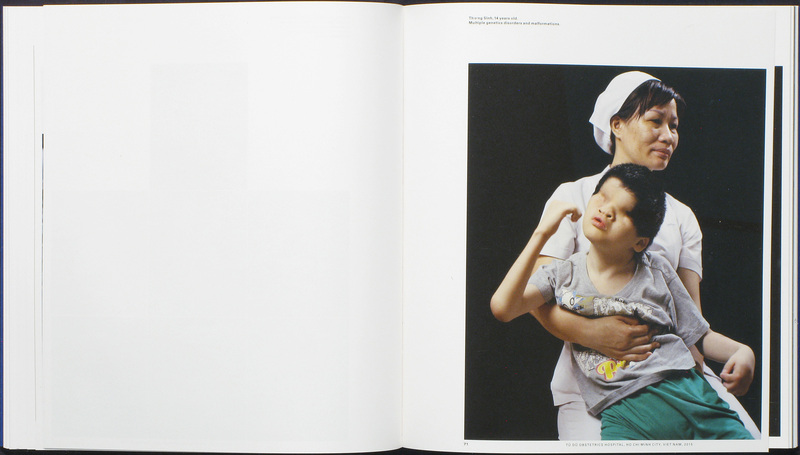 She is the manager of photo-eye's book division.